Smartphone with a battery with large capacity that can be used for two days from single charge is set to be released. LG Electronics has decided to release ‘X Power 2 (LGM-X320’ with a battery of 4500mAh of capacity in early June. 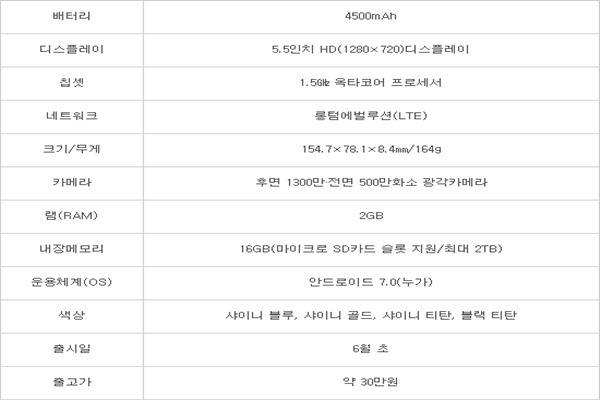 All three South Korean mobile network providers will sell X Power 2 at about $264 (300,000 KRW). Based on battery capacity, it has the battery with biggest capacity out of all Smartphones that were released in South Korea. Its battery capacity is 50% bigger compared to capacity of Galaxy S8’s battery (3000mAh) and has 1200mAh of capacity more than LG G6 (3300mAh) which has the battery with biggest capacity out of all LG Electronics’ G series Smartphones. After being introduced for the first time at ‘MWC 2017’ in February, it is going to be released in South Korean markets first. 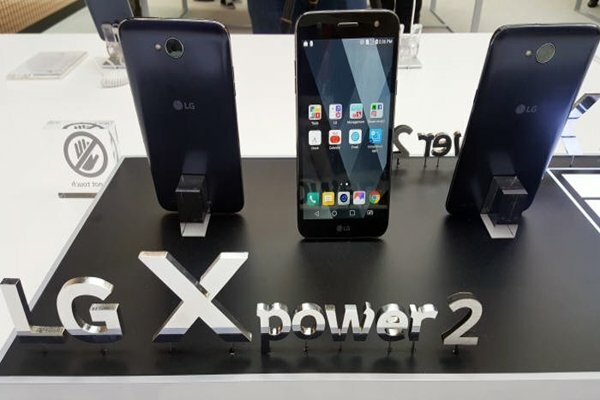 It seems that LG Electronics is releasing X Power 2 in South Korean markets first prior to other markets is because it wants to satisfy demands from South Korean consumers wanting a battery with large capacity due to use of a Smartphone for long time and to observe responses from consumers at the same time. LG Electronics introduced that one can use X Power 2 throughout a whole weekend by just charging it once. It also explained that one can watch videos for about 15 hours straight and browse through internet for about 18 hours straight. In order to reduce time to charge this battery, LG Electronics has also applied ‘rapid charging’ function that can charge 50% of battery capacity (2250mAh) in just an hour. LG Electronics and mobile network providers are expecting that X Power 2 can satisfy demands from customers who want to use Smartphones for longer period of time. They predict that it will be possible to differentiate X Power 2 from other Smartphones from a standpoint that it can be used for long time without a supplemental battery. “Because there is almost zero possibility that Smartphones with battery with larger capacity than 4500mAh will be released for some time, X Power 2 will be chosen by consumers that have frequent outside activities.” said a representative for a mobile network provider. On the other hand, X Power 2 has a large 5.5-inch display and 13-megapixel rear-camera 5-megapixel front camera. Its rear-camera is applied with ‘zero shutter lag’ function that allows pictures to be taken at the same time when a button is pressed. Its front LED flash allows one to take a clear and bright selfie even in a dark place. Its operating system will be Android 7.0 (Nougat).